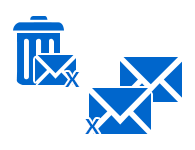 The NSF Merge Software is designed in such a manner it allows users to merge multiple NSF files of Lotus Notes into a single mailbox. In addition, if a user wants, then one can combine multiple NSF into a one common Lotus Notes NSF file. Apart from all this, the tool has the capability to merge all items of Lotus Notes like emails, contact, notes, journals, etc, automatically without any hassle. The software provides users an option to join two or more Lotus Notes NSF file and creates a new folder for each unique id. Using this option, it becomes easy for the users to access Inbox1.nsf & Inbox2.nsf separately from a newly created folder. Moreover, as a user begin with join NSF file process, the tool will display the live status of the merge process. It contains information like name, duplicate items, etc. 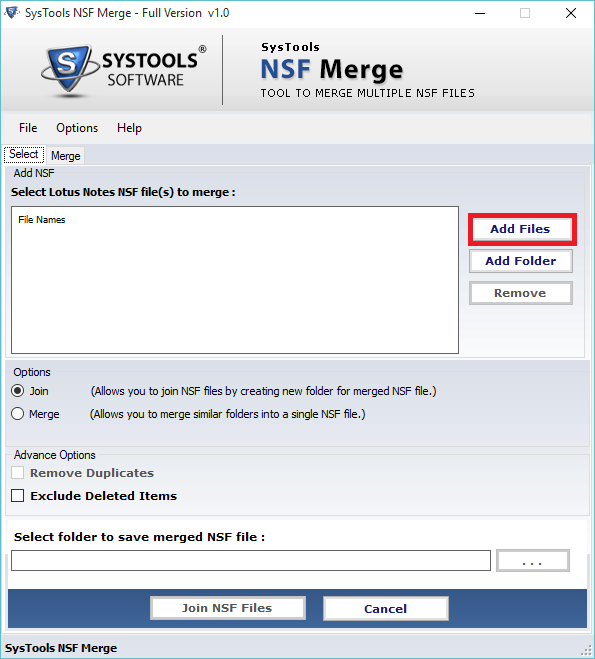 While merging or joining multiple NSF files the Lotus Notes NSF Merge Tool provides users an option to exclude duplicate items. Therefore, if a user wants to do the same, then one just need to check the Remove Duplicate Items option before merge process. Apart from this, one can also check Exclude Deleted Items Folder option, to remove deleted email folder from the resultant merged NSF file. 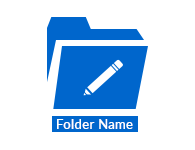 Another impressive feature of FreeViewer NSF Merge Software is that a user can customize the folder name of the Parent Folder also. This will help in managing the combined NSF files with a single user defined display name. Moreover, the Merge NSF File software is compatible with Lotus Notes 9.0, 8.5, 8.0 and all below versions. 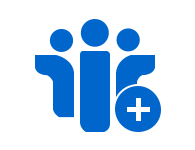 This software is easily install and run in any Windows OS such as 10, 8.1, 8, 7, etc. Join NSF Limit: Join the initial 2 folders of each NSF file. 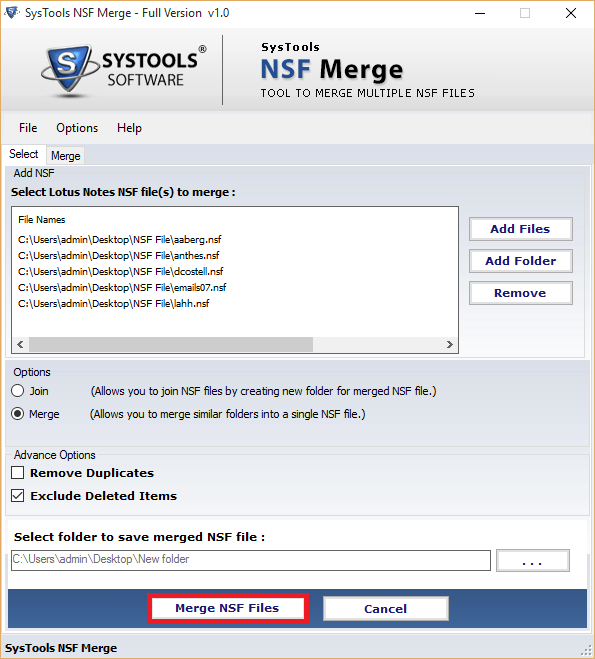 Merge NSF Limit: Merge only first 15 items of each folder of NSF file. Merge Contacts Limit: Merge only first 15 items of each folder of NSF files. If you are using Domino server then copy the NSF file in offline mode to another location & then perform merging process. Is it possible to combine archives NSF file also using this software? 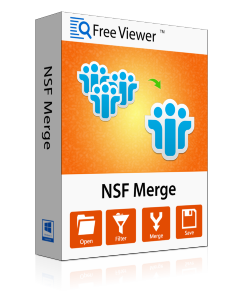 Yes, the NSF Merge Software provides users an option to merge or join multiple NSF archives into one with the help of this software. Can I exclude duplicate items from NSF file during merging process? Yes, the NSF File Merge tool offers an option to remove duplicate items that need to be checked before you begin merge process. Does the software impose any file size limitation to merge NSF files? No, the Lotus Notes NSF Merge Tool does not impose any file size limitation. A user can merge or join any size NSF file without any restriction. Is this NSF Merge Software join password protected Lotus Notes NSF files? No, the Merge NSF File software does not merge password protected NSF file. Can I combine multiple NSF files into one in an offline mode? Yes, a user can merge two or more NSF file into single NSF file in an offline mode also without any trouble using this NSF Merge Tool. "The user interface of this NSF Merge software is so easy and simple that I did not find any difficulty in using this tool. It merges 3 different NSF file into a single in just a few number of clicks. I liked this tool so much that I am definitely going to suggest this tool to my friends also." 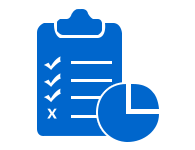 "The best part that attracts me more towards this tool is an option to exclude deleted item folders and duplicate items from the resultant file. This feature helps me a lot in reducing the size of Lotus Notes NSF files. According to me, great effort was done by the developers in developing such an amazing tool." "FreeViewer NSF Merge Tool is the finest tool that I have used till now. The software allows me to merge multiple Lotus Notes NSF database file into one single file. Now, I can filter all the important data items from a merged NSF file. This tool is really amazing and effective!" "It was a difficult task to combine bulk number of NSF files into a single one. It was nearly impossible by manual approaches. So, I switched to this tool. I got positive results and in a very less time, I got a single file with all data items in multiple NSF files. Thanks for this utility!"